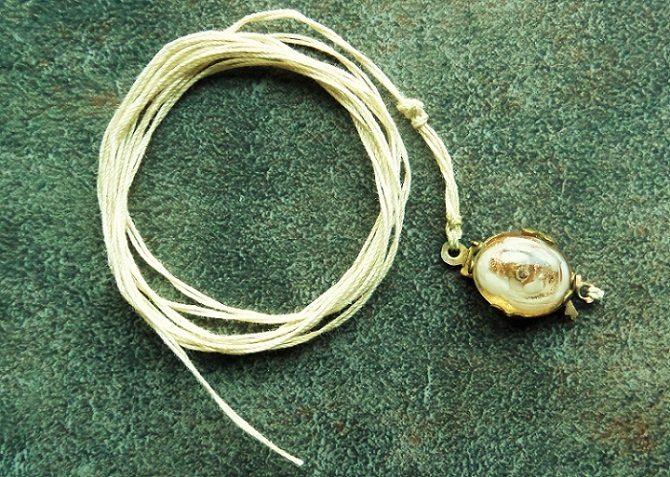 Removed this string and clasp from a long strand of about 160 rootbeer brown "Russian" beads, and wonder if anyone here has seen anything like it - a box clasp that seems to feature a sort of fishhook as the tongue. It's quite tight and secure. The glass cab is secured to the clasp with a pin (i.e., a hole drilled? from the back, over a little metal post, secured with glue judging from the gas bubbles, that does not break the surface of the cab). Age? Victorian? c1900? 1930s? 1950s? Anyone care to make a guess? 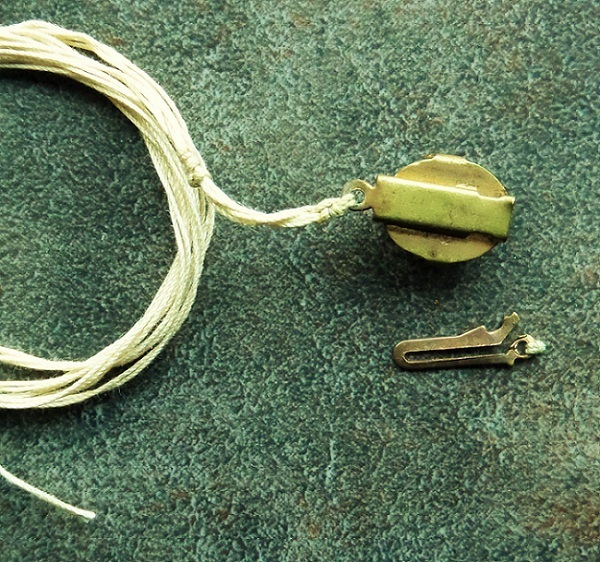 I haven't burnt a snip of the string to see what it's made of.